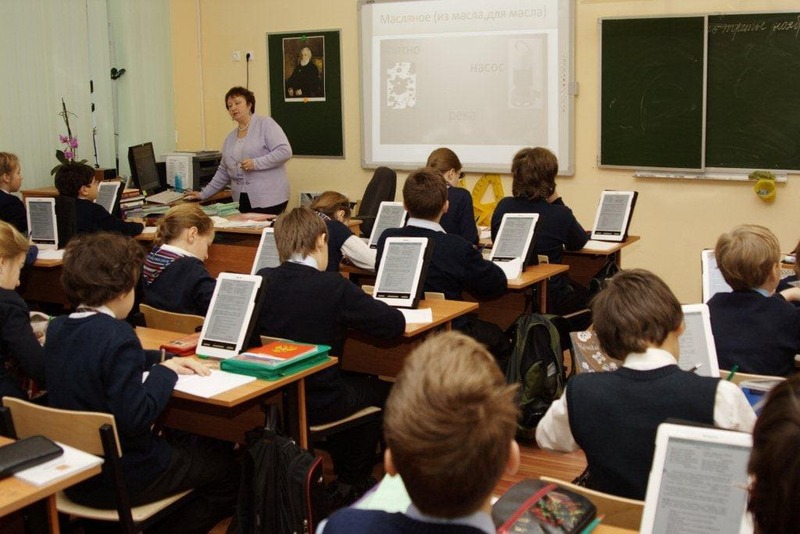 Some time back I told you that Ectaco was launching the Jetbook Color in Russian schools. One detail I didn't know at the time was that it was going to be part of a pilot progra which would test its effectiveness in the classroom. Would you be surprised to find out that there are actually 4 pilot programs going on right now? 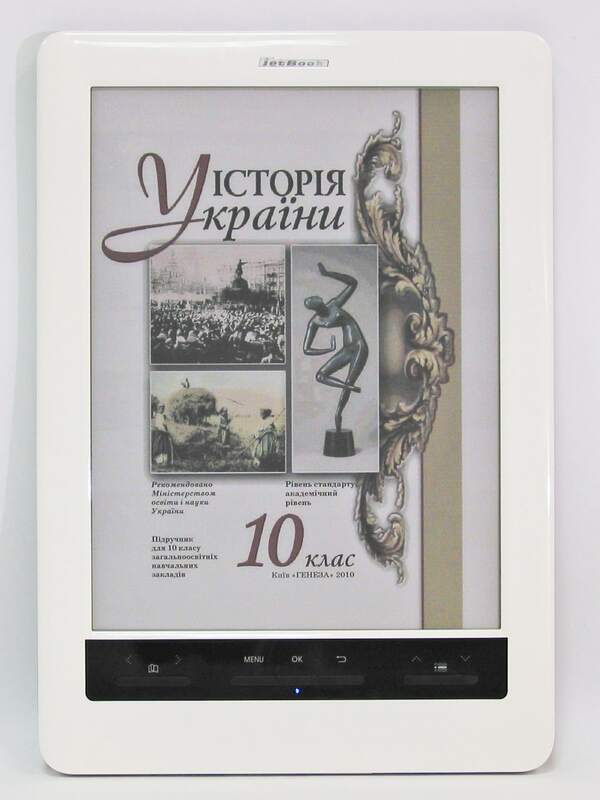 I'm still looking for more info on competing programs, but a couple days ago Ectaco psoted a set of promotional photos showing their device in a Russian school. It was too good not to share, and that give me a good chance to talk about the programs in general. The Russian Federation has a centralized school system, and it's organized on the national level. While this might seem overly large and unwieldy from an American viewpoint, it does have certain benefits. For example, it has the funds to try the 4 different pilots at once; the only educational systems that could afford that in the US would have to organize it on the state level (Maine, for example, and their 1:1 laptop program). I've posted before on the PlasticLogic 100, and I even posted a hands on video. Compared to the one which didn't ship last year, it's a pared down device with few hardware features, and it's using PL's own screen tech. 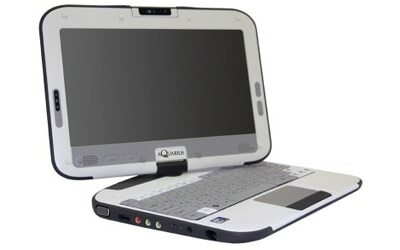 I've also posted in the past on the Ectaco Jetbook Color and its launch in Russia, as well as a demo video. 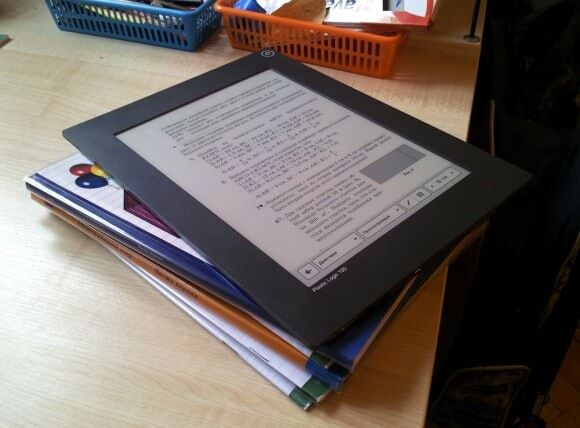 This ereader is using hardware originally designed by Hanvon with software written by Ectaco. It's the one shown in the photo above. I haven't mentioned Pocketbook Education since last year. At that time it was based on the same hardware as the Pocketbook 902, with a 9.7" E-ink screen, Wifi, Bluetooth, a microSD card slot, 2GB Flash, but I don't think it has a touchscreen. It's also running a custom firmware with 6 translation dictionaries, note taking, search, ebook reading (of course), and other apps for students. Note that they had been in a pilot last fall, so at this point they've probably expanded the software to include more features. But I've heard that last year's pilot may have faced some difficulties because publishers wouldn't support the pilot with the needed textbooks. I'm planning to ask about it at CES 2011. And then there is the Aquarius NE410. So far as I can tell it is the same laptop convertible running Windows 7 as the Peewee Pivot I posted yesterday. The specs are similar and the hardware looks identical. The pilot programs were just getting started in November, so it's no surprise that there's no news yet. But I do know that this is a pretty big program. 25 schools are taking part, and they are spread across 7 different regions. The device that comes out best in the pilot is planned to be adopted in schools across Russia. That's a few million units sold a year, at a minimum. As you can imagine, there's an awful lot of money at stake here. Which would you think is best? I lean towards the laptop, but that's mainly because of the keyboard. There’s also one more program involving the enTourage eDGe. It’s not ministry-imposed, though, but arranged by one of Russian academic bookselling companies, Akademkniga, and supported by about 38 regions. In fact, the enTourage tech was bought by Academkniga, and is now produced exclusively for the program. I mean, the company is alive. It’s just not on the retail market anymore. Do you have a link to the product page or articles about the Russian Edge? I’d like to learn more. Also, if I made any mistakes above please let me know. I want to be as accurate as possible. “(…) but I don’t think it has a touchscreen. It’s also running a custom firmware with 6 translation dictionaries, note taking (…)” – note taking without neither the hardware keyboard nor the touchscreen? Apart from that – wonder if there’re similar pilots running or planned within EU. The spec sheet I have lists quite a few details but there’s no mention of a touchscreen. I had assumed they were using a Bluetooth keyboard. As of today the jetBook Color is officially up for pre-orders! If you have any questions or anything let me know! I got one, too. Did you see the price? Yikes. It looks like a nicely organized program; color eink vs B&W vs LCD, dedicated devices vs an actual PC. The only thing missing is an android tablet, if only on principle. As to the likely winner, I suspect the *software* availability and total flexibility of the PC will carry the day unless cost is at issue, in which case it is likely the Pocketbook will prevail.